Will Dunkirk’s Use of Prison Labor in Set Construction Disqualify It from the Oscars? Prison labor advocates say that Dunkirk's use of prison labor should disqualify it from receiving any Oscars. This week, the Christopher Nolan-directed epic “Dunkirk” was nominated for 8 Oscars including Best Picture and Best Production Design. 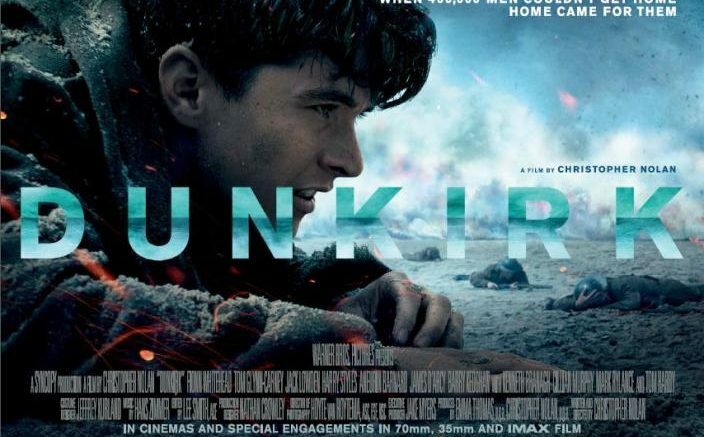 However, prison labor advocates say that “Dunkirk” should be disqualified from receiving any Oscars due to its use of prison labor in constructing sets in France during production in 2016. In the official “Dunkirk” companion book “Dunkirk: The History Behind the Major Motion Picture” by Josh Levine, set decorator Gary Fettis bragged that the use of prison labor in set construction saved the film money. “I hope the producers know, because we saved a lot of money that way,” Fettis boasted in his comment to Levine, the film’s official historian. 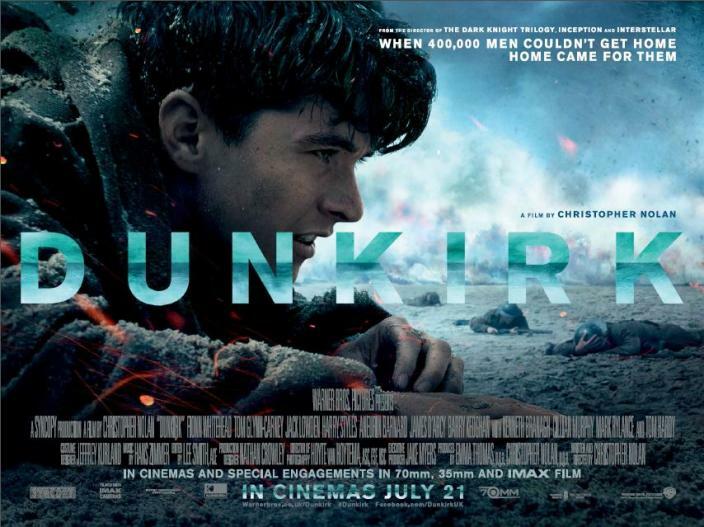 “Dunkirk” is currently the highest grossing World War Two movie of all time, surpassing even the similarly epic “Saving Private Ryan.” The movie had a budget of more than $100 million and has grossed over $525 million so far at the box office, netting a profit in excess of $400 million for the film’s production and distribution companies. The use of prison labor in constructing the set has outraged prison labor advocates. “I don’t think anyone should be using prison slave labor and it needs to be denounced as the human rights abuse it is,” said Human Rights Defense Center Director Paul Wright. Christopher Nolan’s Syncopy Films Inc. production company did not respond to Payday’s request for comment. Nor did Warner Brothers, its distribution company, which also made a windfall from the film’s success. Paul Wright of the Human Rights Defense Center said that Dunkirk’s use of prison labor in set construction should disqualify it from receiving any Oscars. Wright said that because some actors are being passed over for Oscars due to sexual misconduct, including James Franco for “The Disaster Artist,” it would be fitting that the Academy also snub “Dunkirk” for its use of prison labor in set construction. “It would seem that, in a consistent world, human rights abusers and exploiters would not be regarded so highly,” said Wright. The Academy of Motion Picture Arts and Sciences did not respond to a request for comment about whether the use of prison labor should disqualify “Dunkirk” from receiving an Oscar. However, Paul Wright of the Human Rights Defense Center isn’t optimistic about “Dunkirk’s” use of prison labor being viewed as a mark against it. “Since we live in America, I suspect that no one will miss a beat on this because pretty much everybody in a position of power is down with prison slavery. Unless [the prison labor] is being exploited by the Chinese government,” said Wright. Support our work! Become a dues-paying reader by pledging at least $3/month or $36/year here. Subscribe to our weekly Payday Lunch Pail newsletter, focused on labor in news deserts, here. Mike Elk is the founder of Payday Report and also covers labor and immigration for The Guardian. In 2015, he was illegally fired for union organizing as Politico’s senior labor reporter and used his $70,000 NLRB settlement to start Payday. The son of United Electrical Workers (UE) Director of Organization Gene Elk, he lives in his hometown of Pittsburgh and has dinner with his folks regularly. He can be reached at Melk@PaydayReport.com A Sidney Award winner and proud graduate of Woodland Hills, Elk lives in his hometown of Pittsburgh. 2 Comments on "Will Dunkirk’s Use of Prison Labor in Set Construction Disqualify It from the Oscars?" How is this “slave” labor when the inmates agreed to help with construction VOLUNTARILY? Articles like this dull and distract society from the TRUE, horrifying trafficking happening in the world. I’m not seeing why this is a civil rights abuse. Most people in prison just sit there in a cell, doing nothing. Mass incarceration is an issue unto itself. I’m willing to bet that these inmates rather enjoyed working on this movie, and probably felt proud of what was created. I don’t know the terms of the arrangement (nor did you cover it), so it’s not clear whether this was voluntary or forced labor. The contractor says “kids” – but what age are we talking about? What exactly are the “rights” that Paul is advocating for – that prison laborers be compensated for the work? Prisoners are a huge cost to society – a cost that they never repay. Most of the time (barring wrongful convictions), prisoners are in there because they broke the law. I would be a strong advocate for a system where prisons are funded by prison labor, and not by tax payers. Yes – give them safe working conditions and be sure that the work hours are on par with what it would be like to work for Home Depot. They get breaks, don’t work more than 40 hours in a week, etc. And don’t just use this labor to make prison systems richer, or save movie production companies more money. But to reduce the need for tax payer costs.